Oil For Gold – Real Or Imagined? In response to questions about when China would finally cast aside the dollar and run the price of gold up, I’ve always replied that China would be shooting itself in the foot if it tried to replace the dollar too quickly. Don’t forget, China holds about $1.2 trillion in the form of Treasuries. Note: this ratio does not include the market value of its gold holdings, the actual amount of which is unknown outside of a small circle of Chinese officials. When the idea of a gold-backed yuan-denominated oil futures contract surfaced, it became en vogue for those unable to analyze their way out of a paper bag to issue commentary refuting the idea. For some, if an event has not already occurred, they are unable to “see” it. This article from Alasdair Macleod is a must-read for anyone who wants to understand the path leading up to the ability to convert oil sold in yuan or gold by China’s largest oil suppliers. Judging by the various recent oil trading and gold trading agreements between Russia and China, the conversion of oil sales into gold may well be already occurring in a two-stage process between Russia and China. While Alasdair does not overtly acknowledge the idea of a gold-backed oil contract coming from China, I would argue that the article about a gold-yuan oil futures contract in the Nikkei Asian Review – a highly regarded publication – was likely floated intentionally by the Chinese Government. If you read through Alasdair’s article, it’s difficult not to come away with the impression that China has been methodically and patiently putting together the pieces to support the ability to convert oil sold China – benchmarked by the yuan – ultimately into gold. Furthermore, the Commercial Bank of China (State-owned) is the sponsor of a gold futures contract offered by the London Metals Exchange. Seems pretty obvious that an oil seller can ultimately convert the proceeds of oil sold to China into gold using three transactions. Why not consolidate that process into one contract? I would suggest that a gold-backed yuan-denominated oil futures contract is inevitable. Just maybe not one the timeline preferred by the western gold investing community. 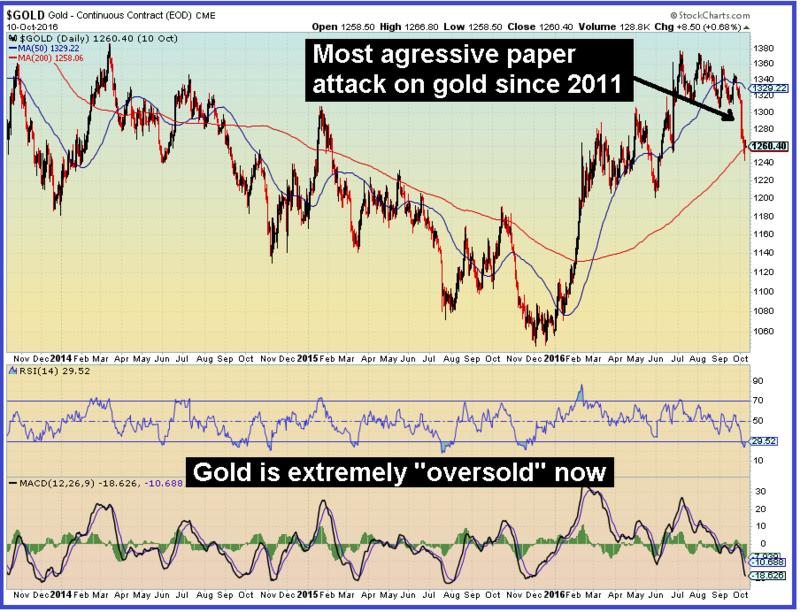 Is The Precious Metals Sector Set-Up For A Big Run? The gold chart above is a 2-yr daily for the price of gold as represented by the Comex continuous gold futures contract. Since April the price has been hitting its head on $1300. I remember when gold attempted to break above $400 in late 2003/early 2004. It took several attempts to get up and over $400. Around that time Robert Prechter had predicted that gold would drop to $50. How well did Prechter’s charts work then? from Trump that can push gold a lot higher in conjunction with the U.S. dollar index quickly falling a lot lower. The most pressing issues currently are the rising geopolitical tensions between Russia/China and the U.S., the upcoming Treasury debt-ceiling battle and, what is becoming more apparent by the day, a deteriorating U.S. economic and financial system. observed in India. Many of you may have read standard gold-bashing propaganda pointing to that as evidence that India’s new sales tax is affecting gold demand. But quite the contrary is true. As it turns out, there was a loop-hole in the Goods and Services Tax legislation that scrapped a 10% excise duty on imports from countries with which India had signed a Free Trade Agreement. Currently Indian gold importers appear to be sourcing gold from South Korea, which enables buyers to avoid the 10% import duty entirely. Until the Indian authorities move to close this loophole, we won’t have good feel for how much gold is flowing into India until the official monthly statistics are released. Based on the import trend in June and July, there continues to be an usually large amount of gold imported into India this summer. It will likely pick up even more as we head into the India festival season this fall. The above commentary is from the latest issue of the Mining Stock Journal. For those of you with huge profit in Novo Resources, I provide some information about Novo that is not in the analyst reports. It includes some technical information about the nature of the assay results produced up to this point. The issue contains analysis in support of buying two primary silver producers whose stocks have been sold off well below their intrinsic values. New subscribers get all of the back-issues. 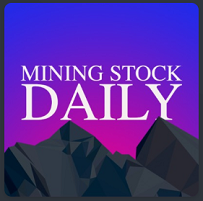 You can find out more about the MSJ here: Mining Stock Journal information. A new gold futures contract is being introduced by the Hong Kong Futures Exchange (two contracts actually). The two contracts will be physically settled $US and CNH (offshore renminbi) gold futures contracts. The key to this contract is that it requires physical settlement of the underlying gold, which is a 1 kilo gold bar. The difference between this contract and the Comex gold futures contract is that the Comex contract allows cash (dollar aka fiat currency) settlement. The Comex does not require physical settlement. In fact, there are provisions in the Comex contract that enables the short-side of the trade to settle in cash or GLD shares even if the long-side demands physical gold as settlement. With the new HKEX contract, any entity that is long or short a contract on the day before the last trading day has to unwind their position if they have not demonstrated physical settlement capability. The new contract also carries position limits. For the spot month, any one entity can not hold more than a 10,000 contract long/short position. In all other months, the limit is 20,000 contracts. A limit like this on the Comex would pre-empt the ability of the bullion banks to manipulate the price of gold using the fraudulent paper gold contracts printed by the Comex. It would also force a closer alignment between the open interest in Comex gold/silver contracts and the amount of gold/silver reported as available for delivery on the Comex. To be sure, the contract specifications of the new HKEX contracts leave the door open to a limited degree of manipulation. But at the end of the day, the physical settlement requirement and position limits greatly reduce the ability to conduct price control via naked contract shorting such as that permitted on the Comex and tacitly endorsed by the Commodity Futures Trading Commission. You can read about the new HKEX contract here – HKEX Physically Settled Contract – and there’s a link at the bottom of that article with the preliminary term sheet. The price of gold & silver have had a big move since mid-December, despite the flood of “fake news” connected to the temporary disruption of gold imports into India precipitated by Modi’s now-failed attempt to limit the ability of Indians to buy physical gold and despite the plethora of fake news about the quantity of gold flowing into China both before and after after the week-long Chinese New Year observance. Brimelow goes on to assert in one of his Monday updates that, “Viewed from a US-centric and technical perspective, gold’s friends have something to worry about. However the Asian buying is about as strong as it ever usually gets and for that reason the Bears’ prospects are probably limited.” Note, the “technical perspective” indirectly references that use of paper gold by the western bullion banks in their attempt to control the global price of gold. 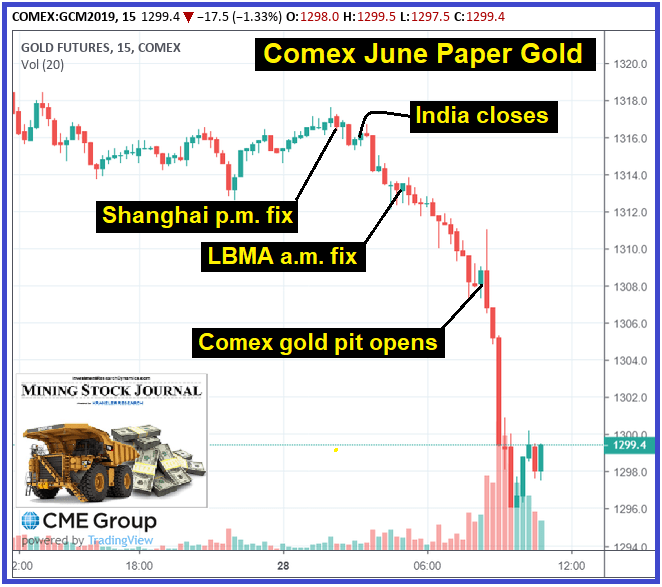 These are typical times during the day, when the physical gold buying markets in the east are closed for the day and the western paper market manipulators take control of global gold trading via LMBA forwards and Comex futures and OTC derivatives. Just as notable about Friday’s move higher in gold during NY trading hours is that fact that the price was moving in correlation with a move higher in both the dollar index and the U.S. stock market. Often, there is an inverse correlation between gold and the USDX/Dow/SPX. There’s is an “invisible hand” in the market pushing the prices of gold and silver higher in defiance of the attempted price control schemes being exerted in London and New York. This silent operator is without the pressure being exerted in the physical market. This week I’m sure will prove to be a bit of a price roller-coaster, as the semi-annual “Humphrey-Hawkins” (as it used to be called) Fed Chairman testimony on monetary policy and the economy is a time used by the western CB’s and bullion banks to control the price of gold using paper. After all, they can’t have the price of gold moving higher when the Fed’s El Hefe is extolling the virtues of the fiat currency and fractional banking system in front of Congress and the world, which begins today. The point here is that it’s my view that the next longer term trend move in gold is higher, which means that price attacks should be used as buying opportunities, both for the metal and the mining shares. In fact, the mining shares were quite stubborn about going lower when gold was being hit hard in New York after being hit hard in London. Typically this is a signal to the market that prices in the precious metals sector are going higher. Gold was pushing $1230/oz overnight, as the methodical take-down of gold and silver in the NYC and London paper markets has triggered an avalanche of demand for physical gold in the eastern hemisphere. Last night ex-duty import premiums in India were $14 over spot gold. In Shanghai the premium to world gold was $9.76. Delivery volume into the Shanghai Gold Exchange rocketed to an extraordinary 86.55 tonnes (it was 35.9 tonnes on Wednesday). The open interest on the SGE was 807 tonnes. To one observer’s recollection, John Brimelow of John Brimelow’s Gold Jottings, this is the first time the open interest has been over 800 tonnes. In Viet Nam the premium paid by the public was $90 over world gold. The spread has been wider over the last 15 years, but not much and only during times when there’s been high “backwardation” between the physical delivery bullion markets in the east vs. the fraudulent paper gold markets in London and NYC. To reinforce this nebulous idea of gold flowing from west to east, and unusually high amount of gold was shipped out of the Comex kilo bar vaults yesterday. 320,434 ozs left the Comex. Over 12,000 kilobars have left JP Morgan’s kilobar vault account in the last two days. This is being attributed as evidence of Asia’s voracious demand right now, as NY and London – when those two conduits actually clear real metal – trade 400oz LBMA grade bars whereas Asia prefers kilobars. The price of gold is being attacked right now in a manner that is quite reminiscent of the way it was attacked in the summer of 2008, right before the global financial markets collapsed, led by the fall of Lehman. Something really ugly is coming toward the global economic and financial system. The dollar index soared from 72 to 86 between June 2008 and October 2008, while gold and silver were systematically taken a lot lower. We know how that played. Similarly, the dollar has gone parabolic in the last week without any visible news or events that would have triggered this move. Too be sure, if Trump implements his borrow and spend program for infrastructure projects, the Fed will have to print a lot of money to monetize the avalanche of Treasury debt issuance, given that the rest of the world is now dumping their Treasuries. Both of those factors should be dollar-bearish and gold-bullish. In good time that’s how this will play out. In the latest episode of the Shadow of Truth, we discuss the extraordinary “backwardation” that has developed in the price of gold between the west and the east. We also discuss evidence of the ongoing collapse in the U.S. economy. In the absence of the extreme degree of price intervention being conducted by the western Central Banks and bullion banks in the paper gold and silver markets, the price of both precious metals would be several multiples higher. That this intervention occurs not only has become overtly visible to all market participants, but recent prosecution/settlement events have rendered this assertion indisputable. 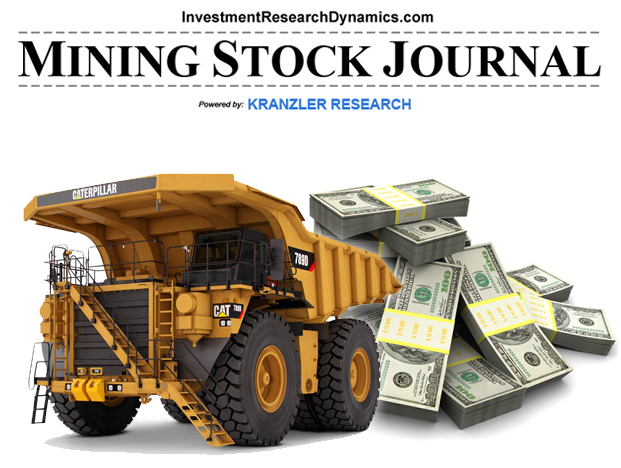 The junior mining stocks – especially the smaller exploration companies – similarly signaled the move higher in the metals ahead of the rest of the sector beginning in early December 2015. While the Central Banks would love nothing more right now than to take gold and silver down to zero, the markets – driven by the physical deliver bullion markets in the eastern hemisphere, appear to want the market to move higher. The sequence of trading events beginning yesterday through today illustrates this dynamic. After a big rally in the mining stocks and metals in the first half of the trading on Wednesday, the miners slammed after the FOMC meeting statement was released in the afternoon. The HUI was taken down from its high of 226 (up 7 pts) to close down down 4 points at 215. This signaled a likely price ambush in the metals, which occurred just after midnight EST, taking December gold down $14 from $1301 to $1287 – silver was taken below $18. The mind-set going into the NYSE was that the HUI would get slammed again. But the market had different ideas. The HUI began moving up at the open. It’s been up as much as 2.5% from yesterday’s close. Shortly thereafter, the metals began to rally as well. Historically, after a reversal like yesterday, the metals and miners typically continue lower for at least few days. But with the mining stocks leading the way, it is highly probable that the next move from here will be higher (with plenty of manipulated volatility, of course). In today’s episode of the Shadow of Truth, we explain why the precious metals sector has shifted into a trend in which every price pullback should be used to accumulate and add to positions in gold, silver and your favorite mining stocks. India’s Gold Demand Gets Rolling – An “Unofficial” Bottom? I say “unofficial” bottom to this 9-week manipulated take-down in the price of gold because we don’t know to what extent the western Central Banks will throw paper at the NY and London gold “markets.” But based on the latest Commitment of Traders report, the bullion banks are covering their shorts fairly aggressively while the moronic hedge funds dump their longs and try to chase the market lower by piling in to the short side. This has always been a recipe for at least short term move higher in the metals. But the cartel’s takedown of the paper gold price has created a nice ex-import duty premium bid in the Indian gold market just ahead of India’s festival season: “Dropping of the rates depend on the international market. If it continues, we are sure to have a bumper Diwali this year,” said N Anantha Padmanabhan, regional chairman, All India Gems and Jewellery Federation – LINK. Please note that a sudden surge in legal kilo bar imports will not depress dore bar importation or smuggling, the latter of which is now estimated to fill about 30% of India’s annual gold demand now. Recall that China was closed last week, while India was transitioning into it’s biggest buying season. The banks used this opportunity to launch their most aggressive paper attack on gold since 2011 in London and on the Comex. They also used the big drop last week to print profits at the expense of hedge funds and whiny retail bucket shop traders. But, the western gold cartel take-down of gold using paper has helped ignite India demand: “In the past fortnight, gold has fallen in the international market by 5.8 per cent; the price in India is down 4.9 per cent. With the ‘pitrupaksha’ period over, when buying of gold is considered inauspicious, festive demand has started – LINK. Again, I’m calling an unofficial bottom because, in a system that allows a criminal to run for President, there’s not telling the degree to which Wall Street will resort to illegal market manipulation in order to keep a lid on the price of gold. But I am certain that the Indians, Chinese and Russians will – as Alan Greenspan would say – “measurably” increase their “consumption” of physical gold. 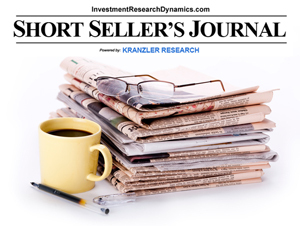 I will be reviewing and updating my favorite junior exploration picks in this week’s Mining Stock Journal. I am featuring some graphs which reinforce my view that this sell-off is over, with the market “percolating” for another big move higher – possibly ahead of the next Fed policy move, which I believe will entail more QE. I am also going to present some ideas to take advantage of the oversold condition of the highest quality large cap mining stocks. 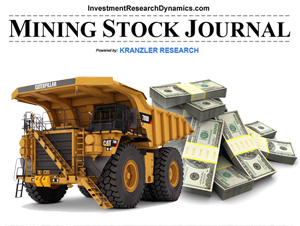 You can subscribe to the Mining Stock Journal with this link: MSJ Subscription. This includes email delivery of all back-issues. The last issue featured a silver explorer trading below 50 cents that could ultimately be a $10 stock.